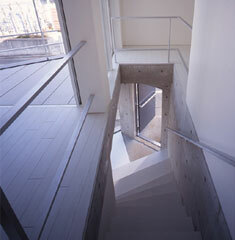 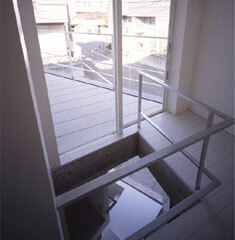 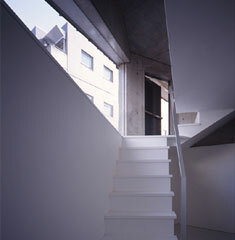 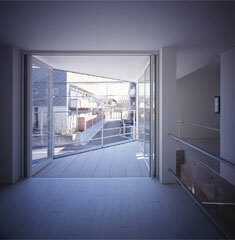 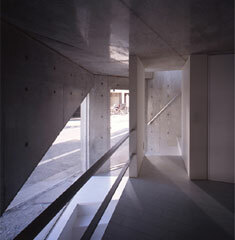 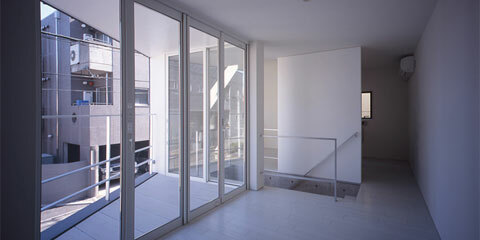 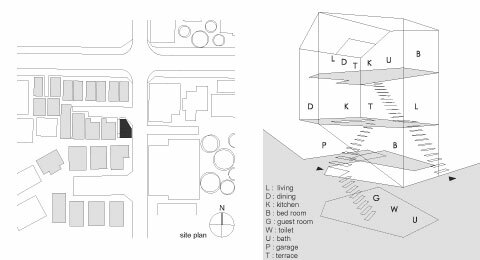 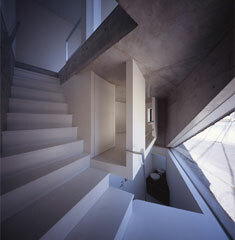 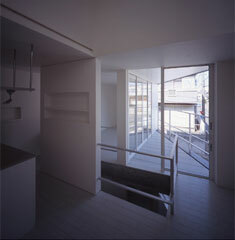 The Guest House KINO Architects projected, is located in a high-density residential area of Tokyo. 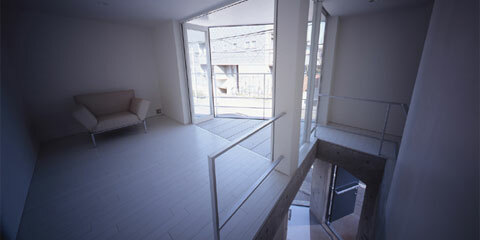 The plot is only about 46 square meters. 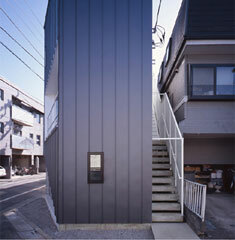 In Tokyo, this size of house in not rare, it’s called “small house”. 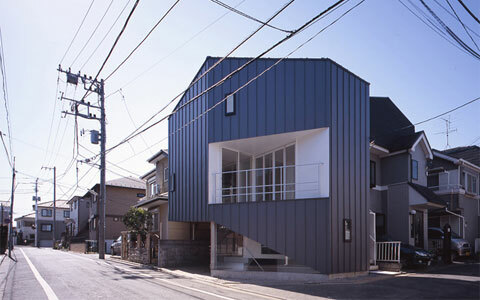 KINO Architects have taken the old family-house dream and adjusted it to today’s one-person’s house reality. 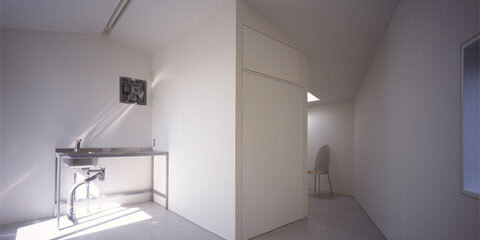 They built a small apartment with a basement floor, loft and first floor for the owner, and a second floor with its own entry to rent out.